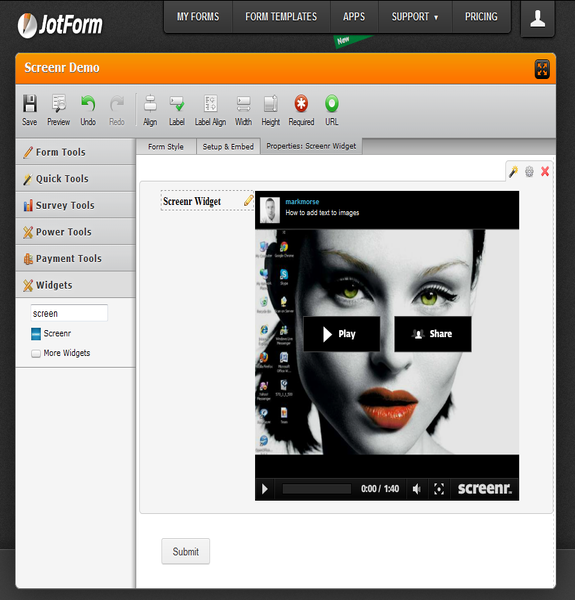 Screenr is a web-based tool that lets you create screencasts without installing any software. You just click the record button and your screen activity is recorded along with narration from your microphone. 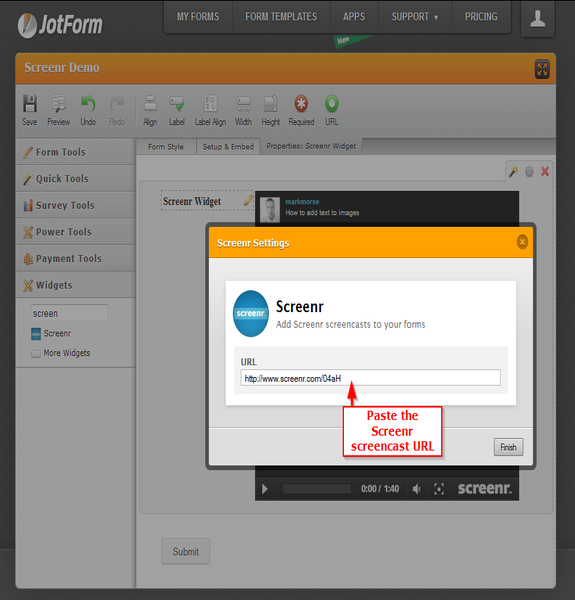 Screenr makes it easy to share your screencast on Twitter, YouTube and now you can easily share them right on your JotForm forms! Just paste the Screenr screencast URL on the widget.